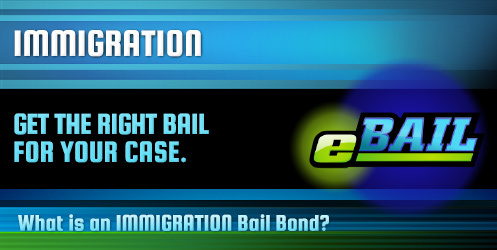 eBAIL provides Fast, Cheap, Online Immigration Bail Bonds in Las Vegas, Nevada 24/7. Also serving Immigration Bail Bonds in North Las Vegas, Henderson, Boulder City, and Nationwide. If a friend or loved one has been arrested on charges related to immigration issues in Las Vegas, you might need to consider an Immigration Bail Bond in order to secure release from jail before any hearings. Without a bond, your friend or family member may have to remain in jail until all hearings and proceedings have been completed. Securing a bail bond allows the accused a chance to spend time with family and to retain an attorney for any immigration defense hearings and proceedings. An Immigration Bail Bond is similar to other types of bail bonds in that a percentage of the full cash bond amount set by the judge in order to be released from jail to wait for future hearings and proceedings. Unlike other types of bail bond, with Immigration Bail Bonds, there is typically a need for some type of collateral as well due to the high flight risk associated with immigration charges. Which Jails Accept Immigration Bail Bonds? If you are arrested and booked into a jail in Las Vegas or surrounding areas, there are several ways you may be released once a bail amount has been set by a judge. Pay the full amount. You may pay the full amount of the bail. This amount will be refunded after the appearance at all proceedings minus any related court costs or fees. This amount will be forfeited if the defendant misses any of the scheduled proceedings in their case. Pay 15% of the bail amount. You may pay 15% of the amount of bail set by the judge to obtain a related bail bond. This 15% is the amount set by Nevada law and is not returned after the hearings and proceedings. However, if you needed to put up additional items for collateral in addition to a 15% payment, those items of collateral may be returned to you after all hearings are completed depending on the nature of the bond agreement. As with bail, the collateral will be forfeited if the accused fails to show for any of the scheduled hearings or proceedings. Hire a criminal defense attorney. A lawyer may be able to get bail reduced or eliminated, but this may take some time while the accused remains in jail. There are also additional expenses to consider in regards to hiring an attorney. The total amount of time spent in jail depends on the booking process, length of time until the first hearing to set bail, how long it takes to post bail or a bond, and the release process. Typically, the release process can take anywhere from 6 to 16 hours, but this amount may be more depending on events occurring within the jail and if it is a weekend or holiday. eBAIL can help to locate which jail or facility is holding your loved one and the amount of bail required for release. eBAIL will work with you to come up with payment arrangements and what types of collateral may be necessary to secure the appropriate bond. 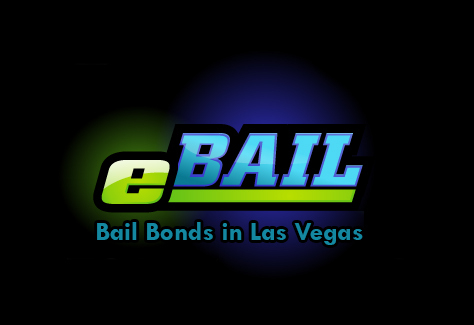 The bondsmen at eBAIL are professional and courteous while working to make the bail bonding process as quick as possible. Fully licensed and accredited, eBAIL has the experience you need to get the job done.